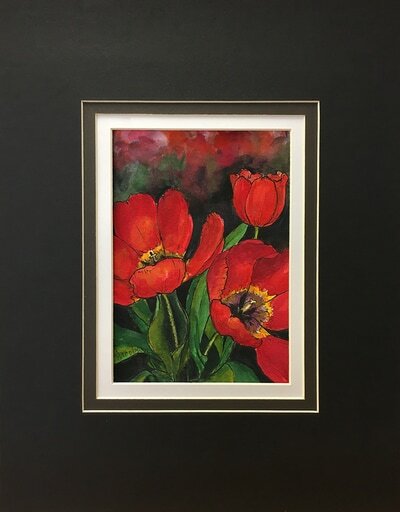 Need just a pop of color to brighten a small space? 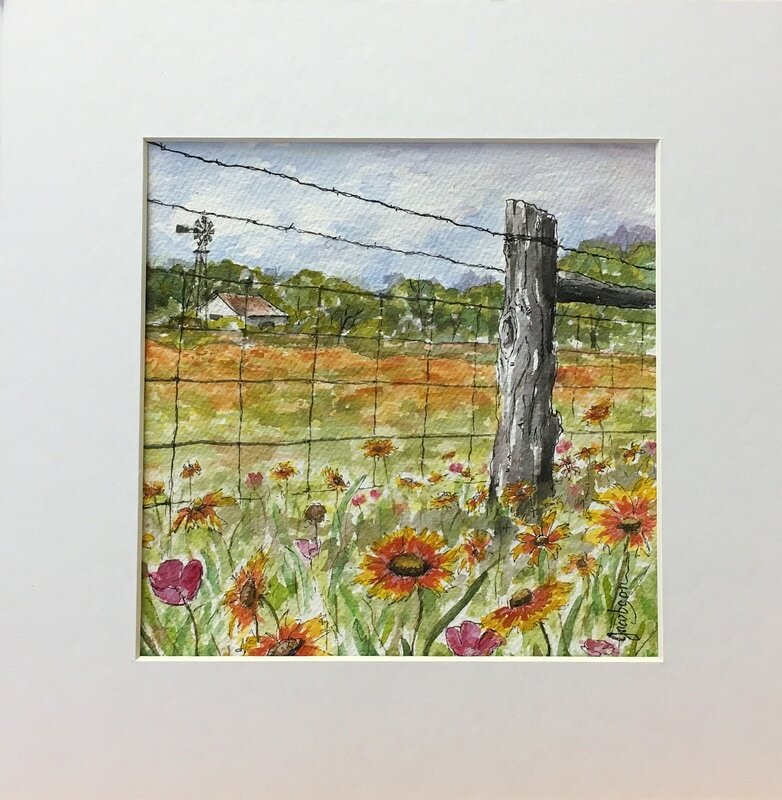 Looking for a one-of-a-kind gift of original art? 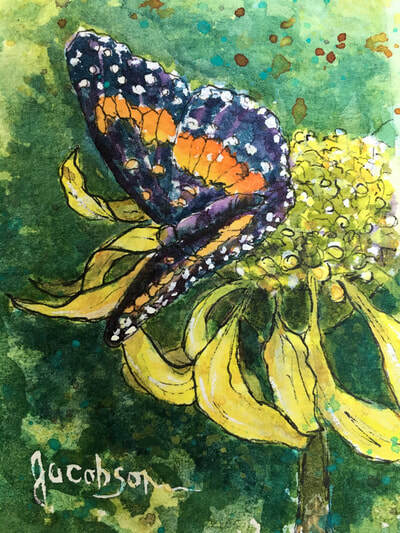 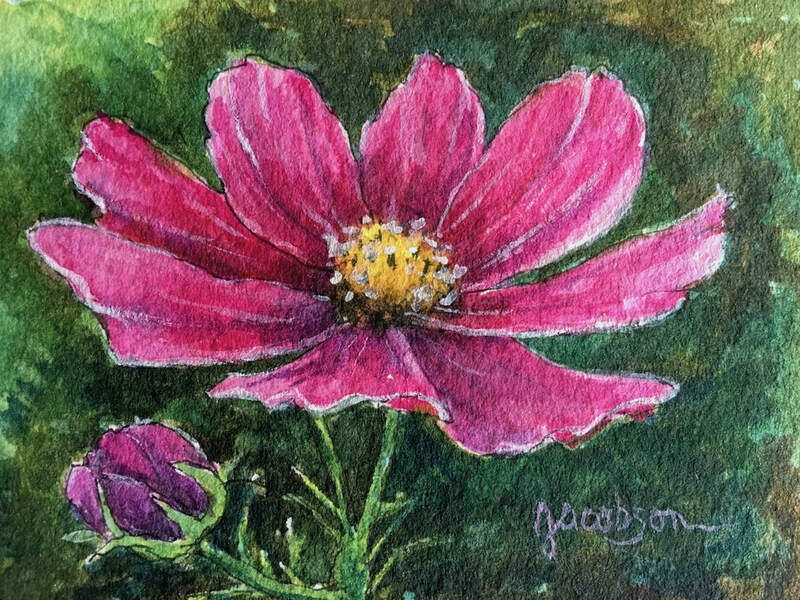 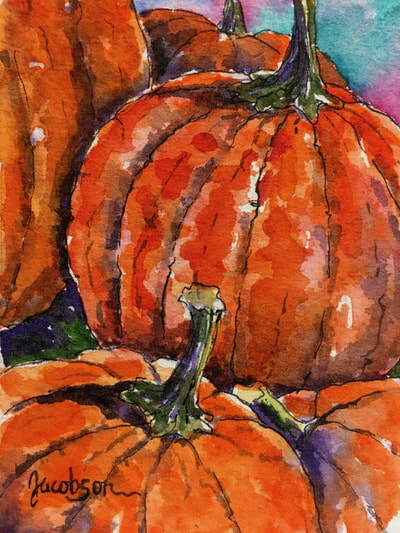 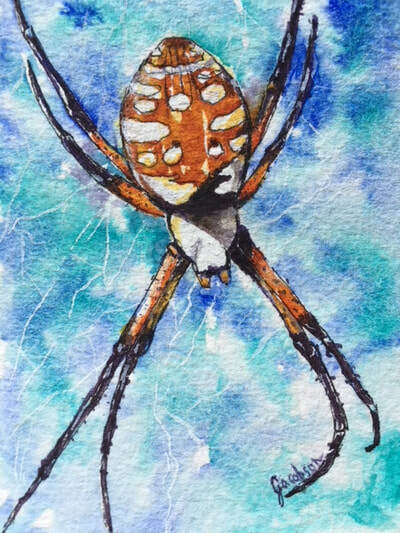 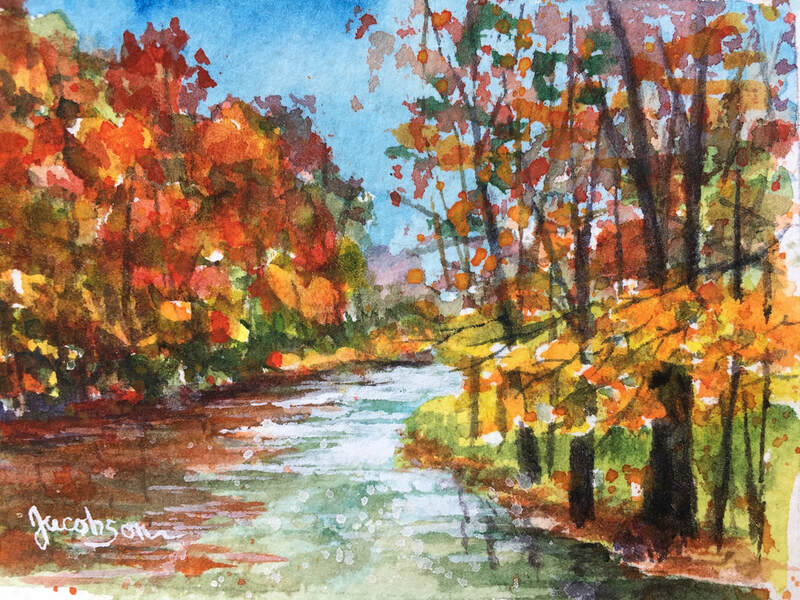 This portfolio features Linda's one-of-a-kind, hand-painted, Itty Bitty watercolor paintings. 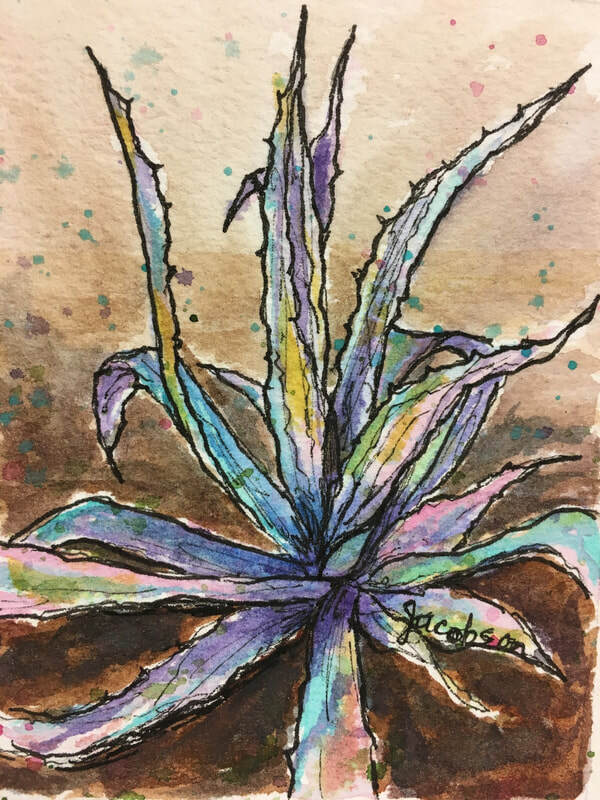 How itty bitty? 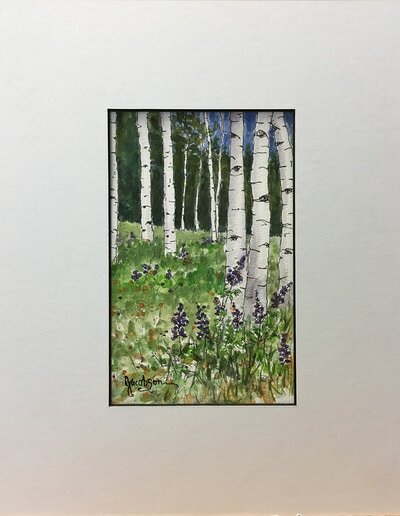 Each image measure 2.5 inches by 3.5 inches. 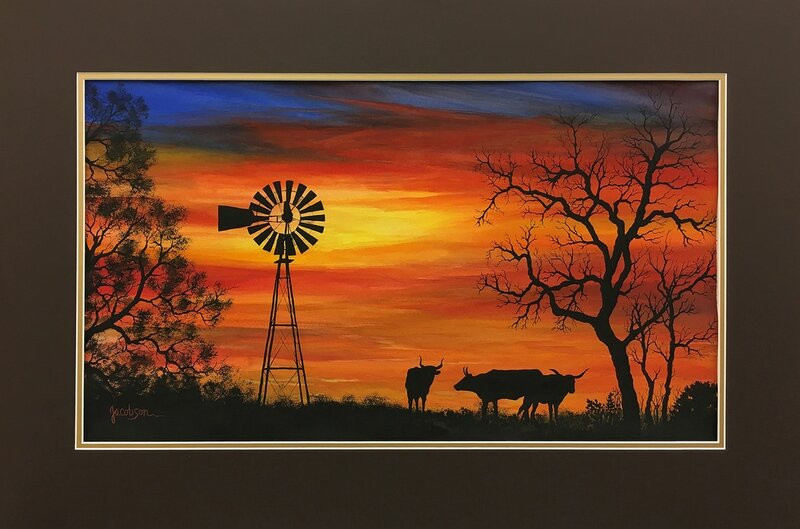 They come in your choice of a white, black or cream mat but you certainly change out the color when you have it framed. Or, if you collect ACEO (Art Cards, Editions, Originals) or ATC (Artists Trading Cards), you can trim the paper to the 2.5x3.5 image area and add to your collection. 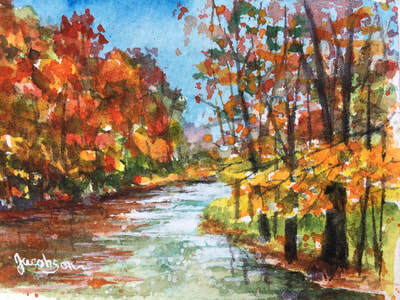 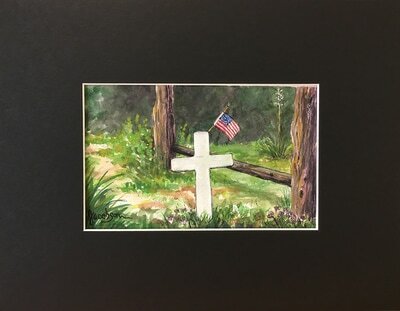 Each painting is priced at $55, which include the matting and shipping (U.S. addresses only). 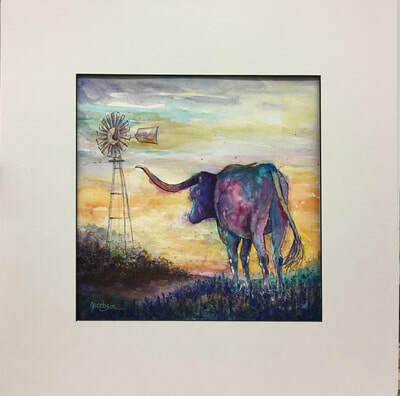 Contact linda@wildflowerartgallery.com to inquire about purchasing. Unless otherwise noted, all of the paintings shown here are created in watercolor (combination of pan and tube colors and a variety of brands), on 140-pound cold-pressed watercolor paper. 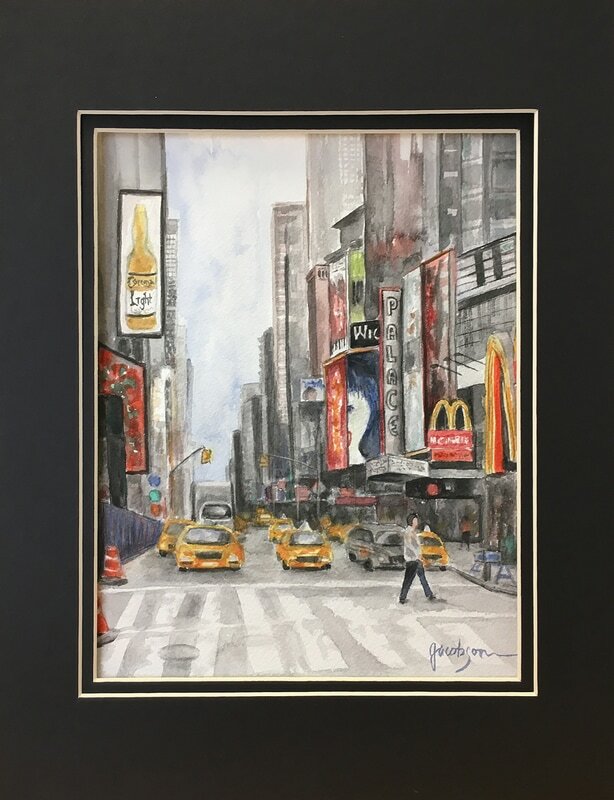 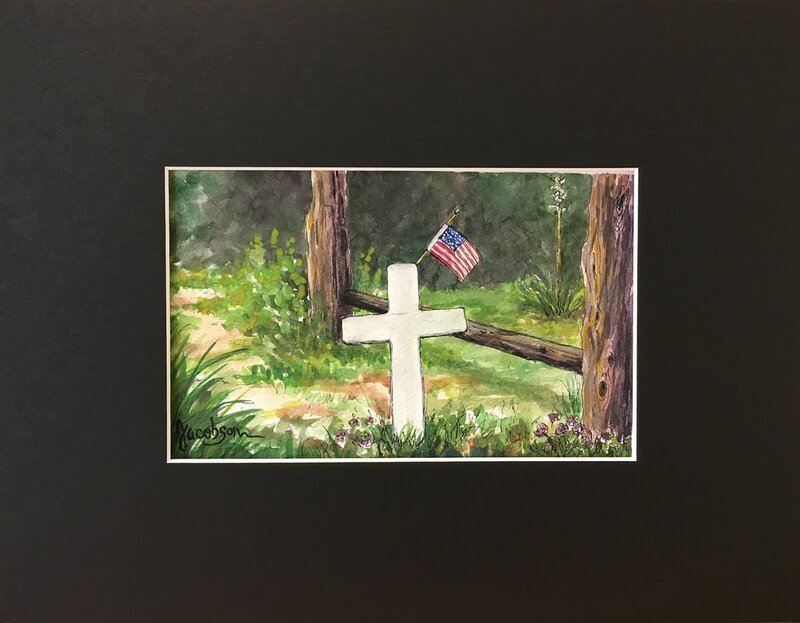 Each painting, unless otherwise noted, has been matted and enclosed in a clear bag for protection and presentation; allowing for framing and optional re-matting as desired by the collector. 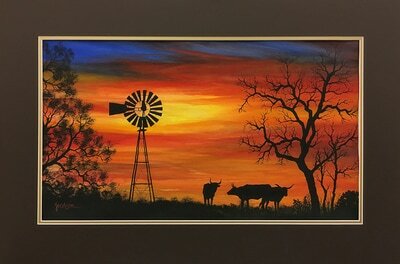 Please contact linda@wildflowerartgallery.com if you are interested in purchasing any art in this series. 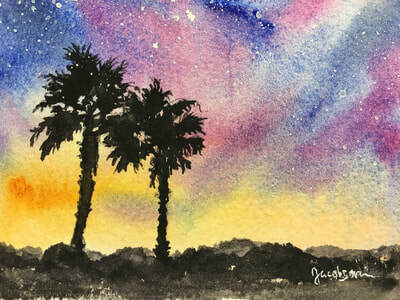 As always, free shipping to US addresses is included and the work comes with a 7-day Happiness Guarantee. A little background: In early summer 2017, Linda began painting with watercolors once again. 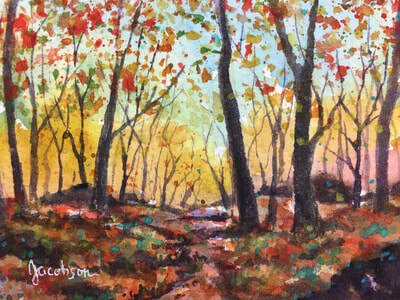 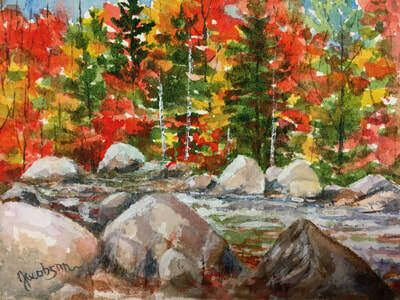 Like many artists, Linda has worked with many mediums and techniques over the years. 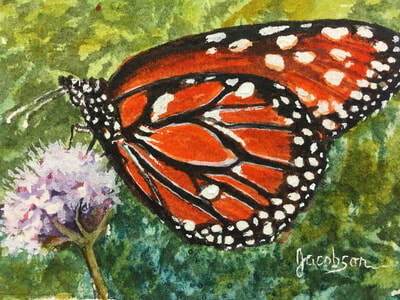 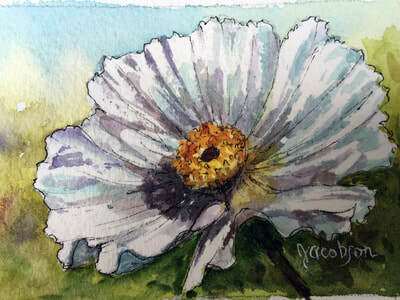 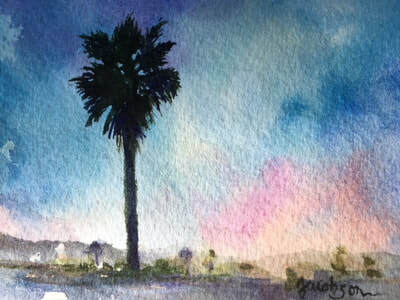 While she has not yet created a consistent body of work with watercolor, it has always been near and dear to her artistic soul. 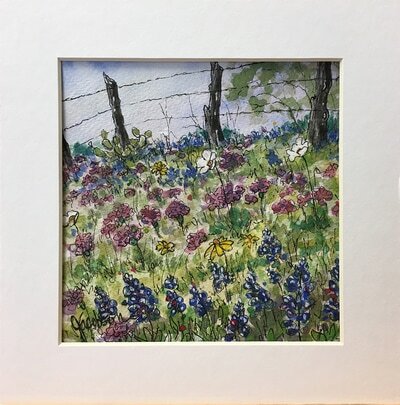 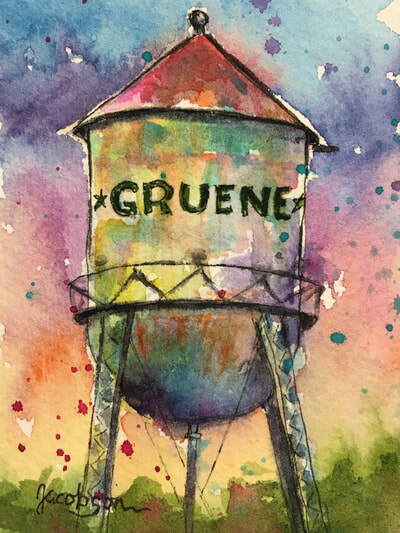 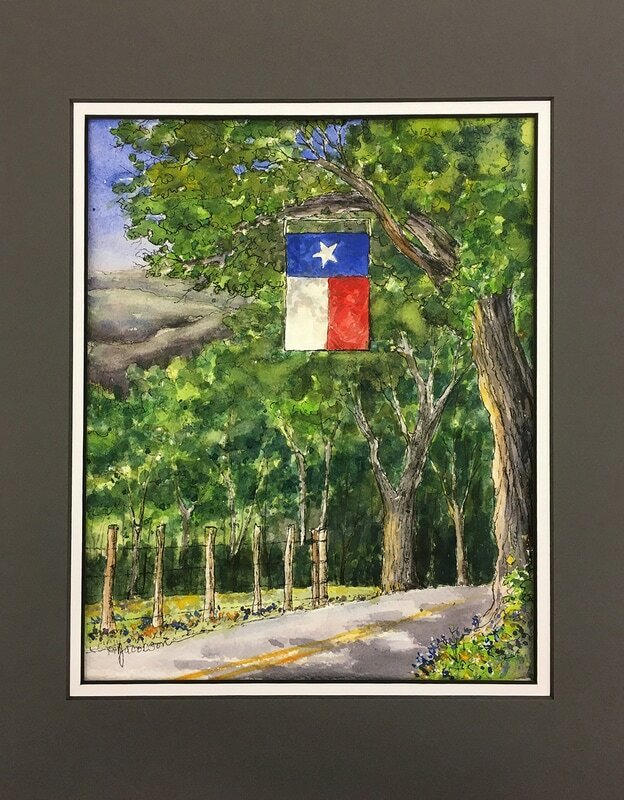 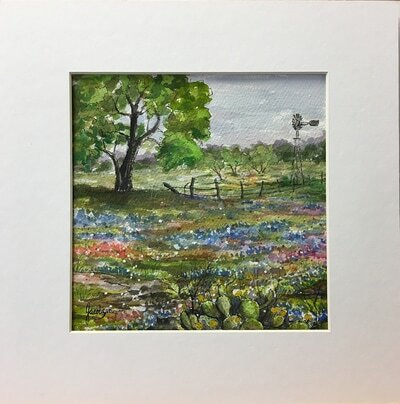 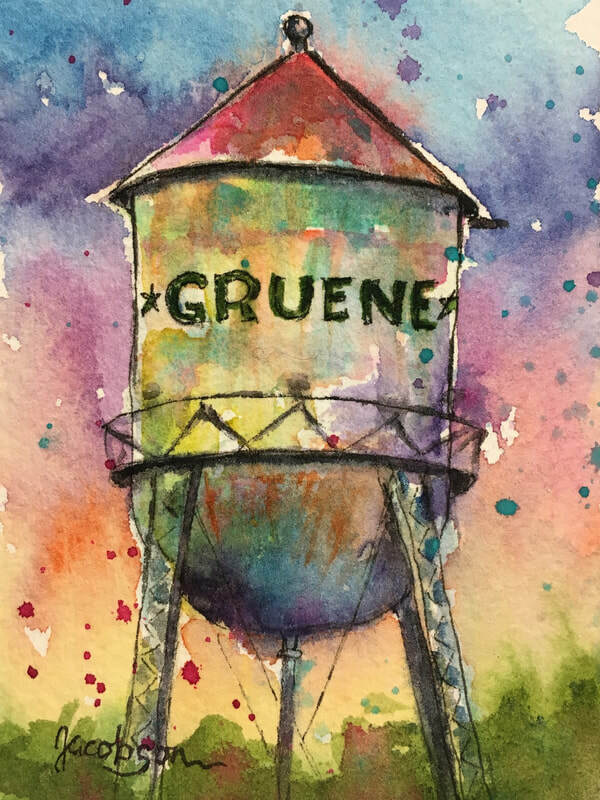 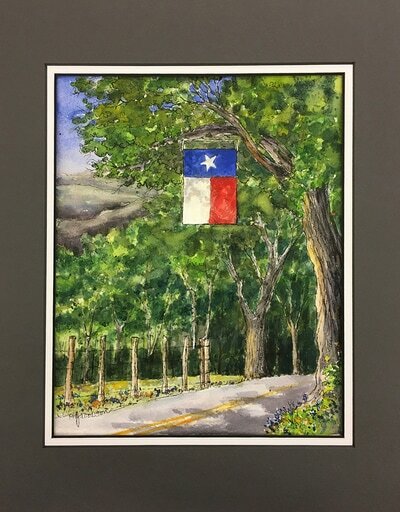 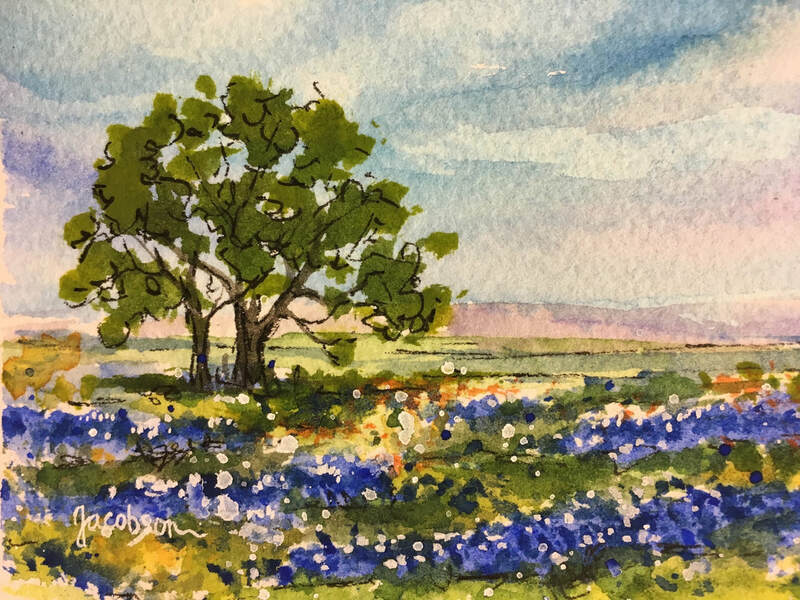 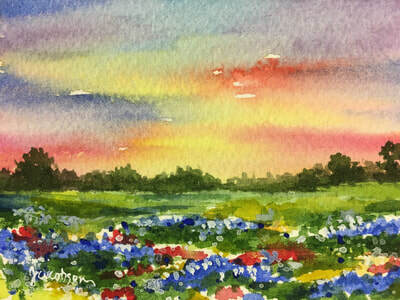 Many of works are inspired by photos she has taken, both near her Texas Hill Country home and from travels across the country as she and her husband, David, visit galleries and exhibit at national fine art shows. 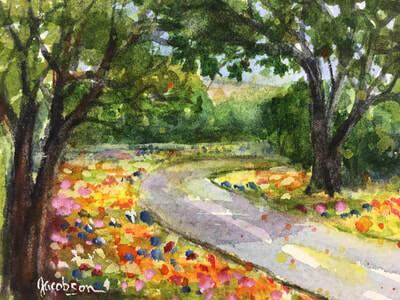 Of course, Linda will continue to work in acrylic and will add to her series of bold-and-happy wildflowers. 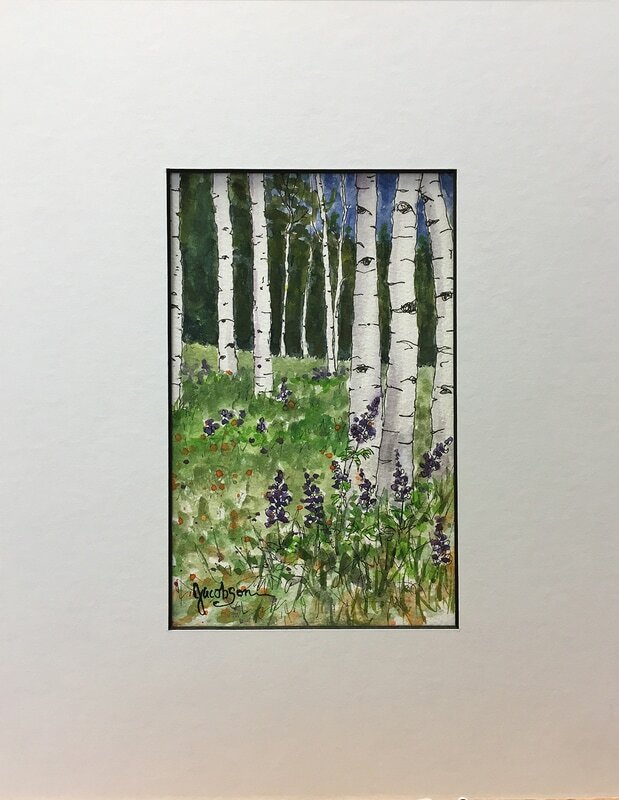 And, she will paint her beloved Aspens and Poppies as well. 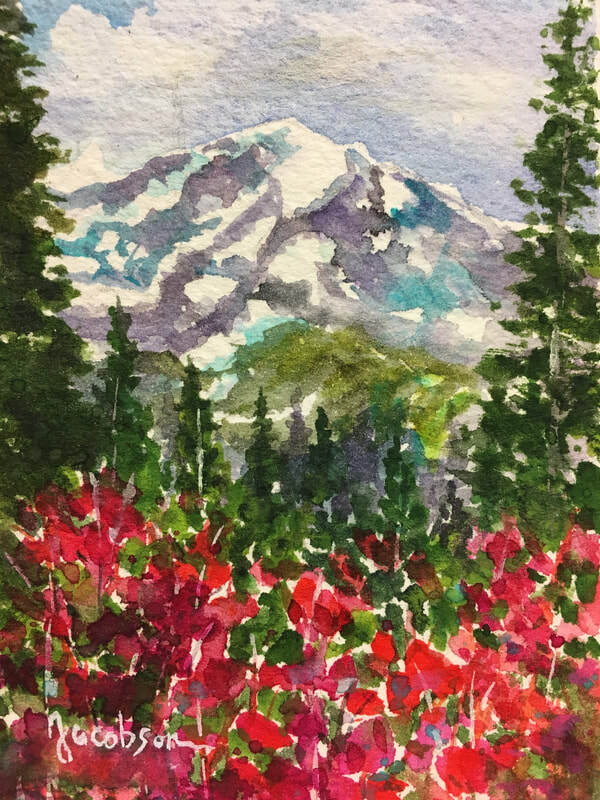 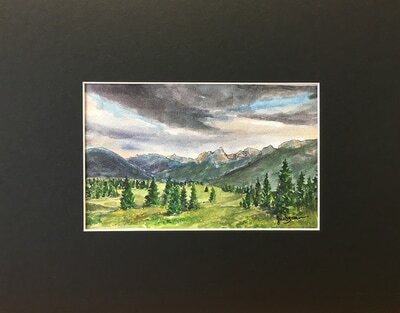 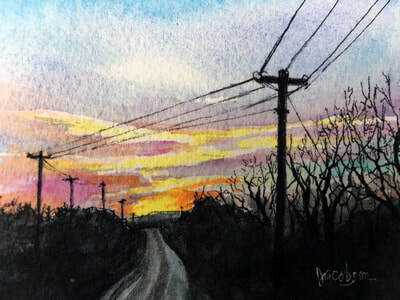 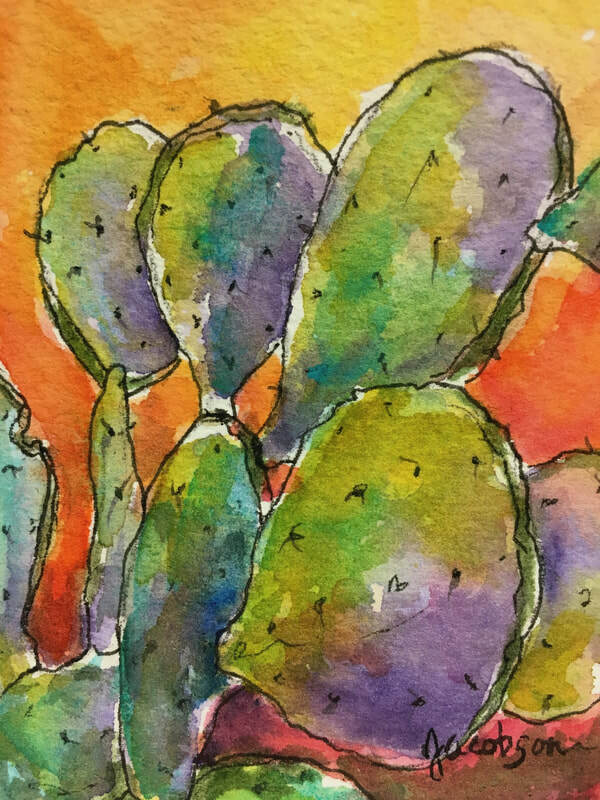 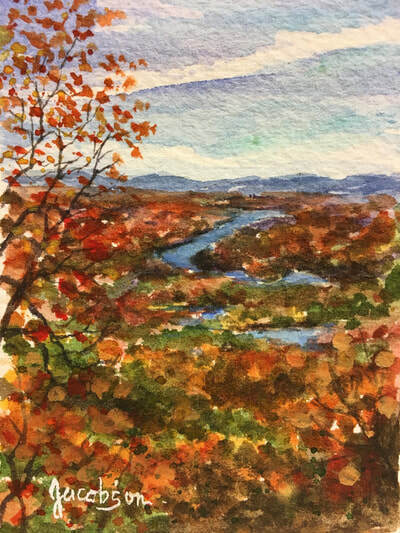 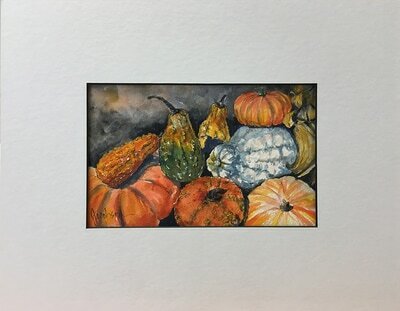 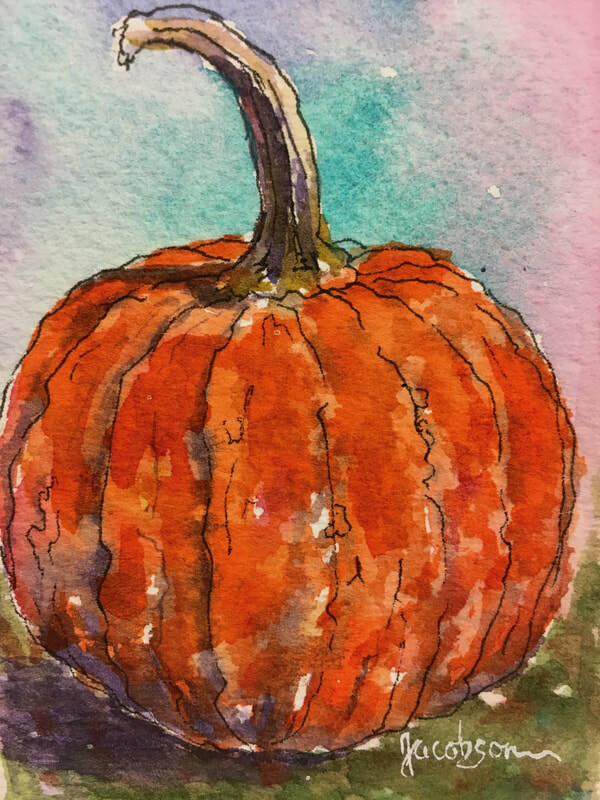 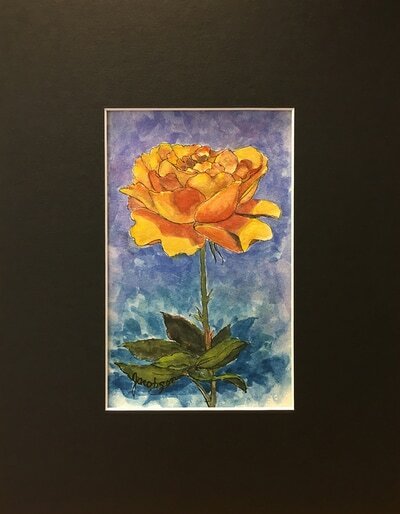 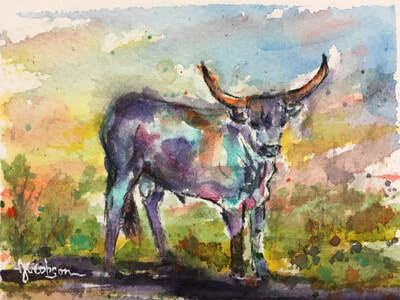 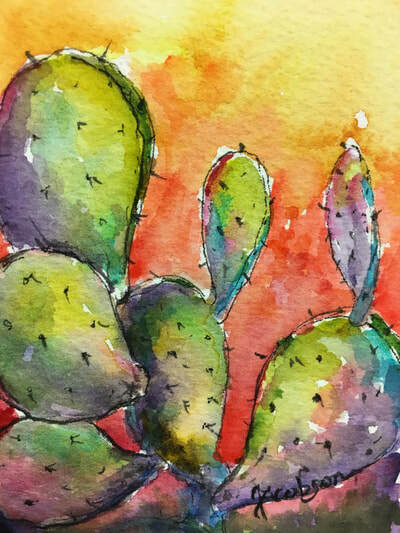 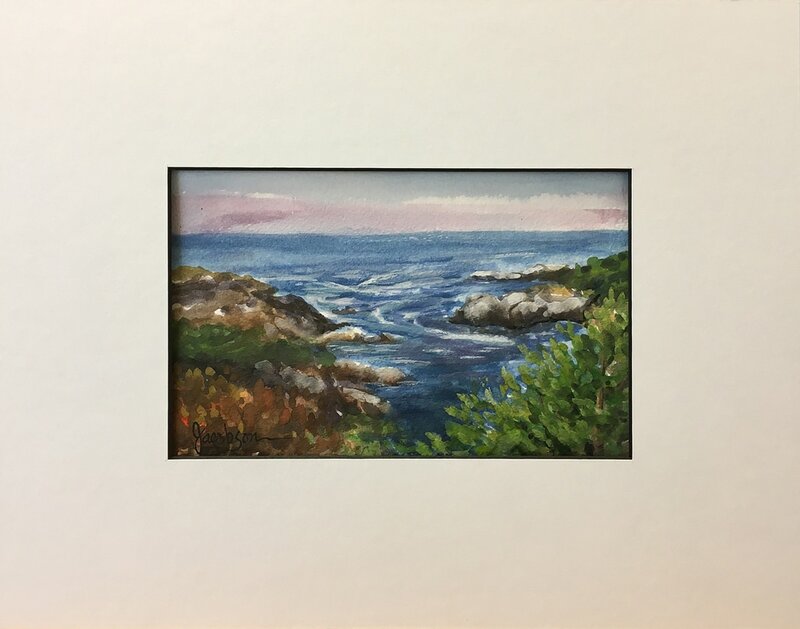 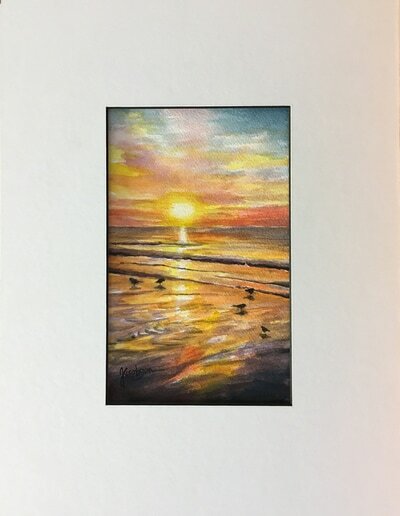 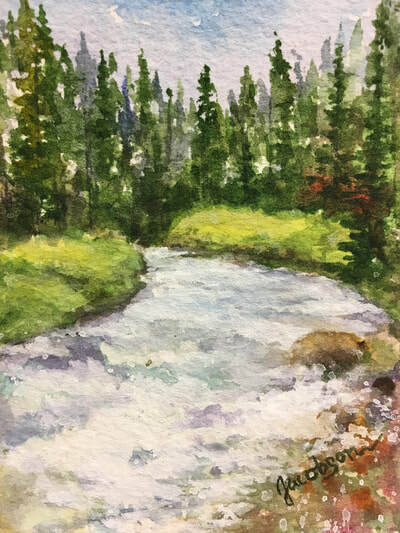 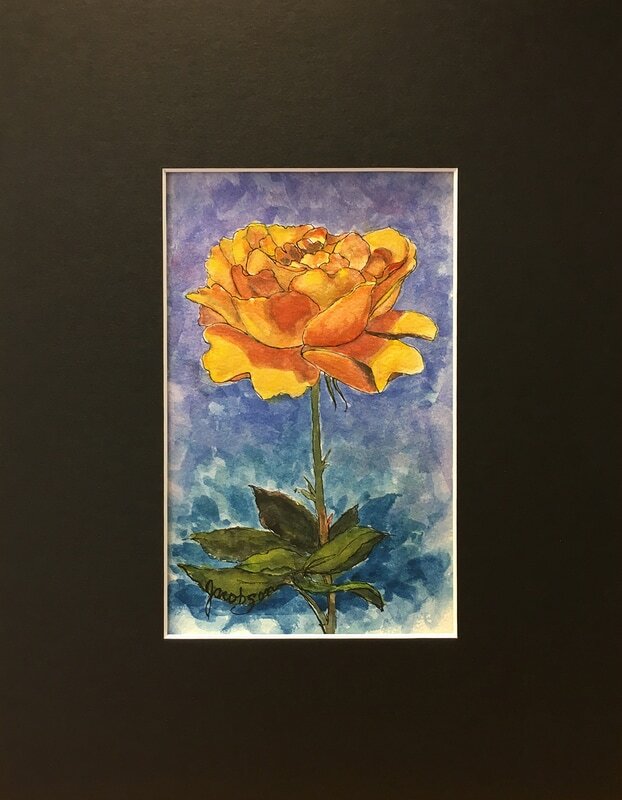 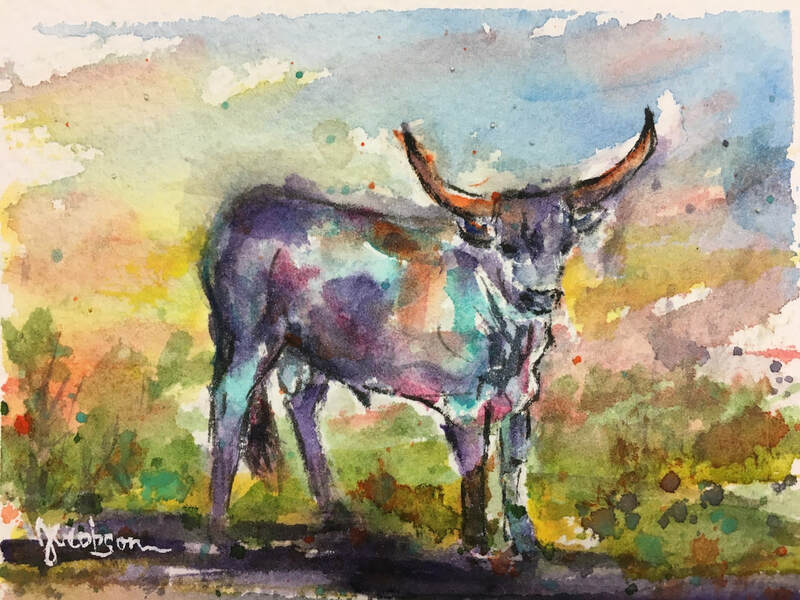 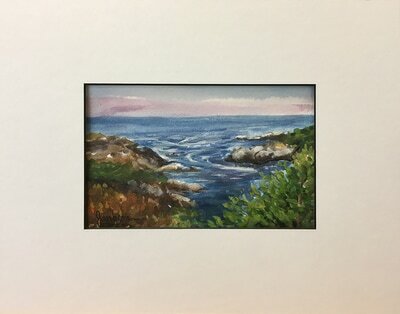 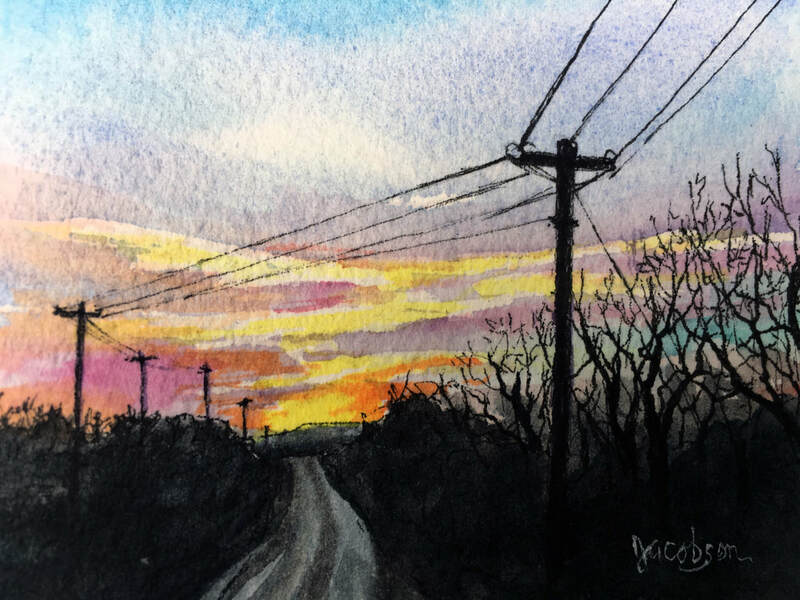 With this new series of watercolor studies, Linda is pleased to share with fans and collectors alike, a different side of her artistic personality.